When I got back from Spain last week, all I wanted to eat were vegetables. Now, don’t get me wrong – I couldn’t get enough of Basque cooking. And for the most part, it was fairly healthy. But I’m pretty sure everyone’s idea of standard vegetable consumption was one or two peppers off of a shared plate of pimientos di padròn (think shisito peppers…fried). I also had a good amount of recipe development for Food & Wine on my plate, including savory crepes, 10 ways. This isn’t ordinarily the most veggie-friendly of food vehicles. But after 10 days of fromage and jambon, I couldn’t face eating another 10 plates of the stuff sandwiched inside of a pancake. So I decided to just do the kind of cooking that I wanted to do, with the veggies that spoke to me at the market, and worry about how they would become part of a crepe recipe later. In case you were wondering, this tuna salad tasted excellent as part of a crepe – kind of a entrée size play on a blini. 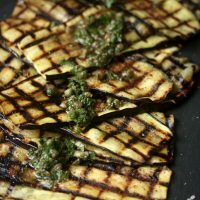 One of my favorite resulting combinations was this grilled eggplant recipe, seasoned with sumac, drizzled with bright lemon, capers, and mint, and stacked on top of the buckwheat pancake with a little cloud of mache to seal the deal. You can look for that recipe in the coming months on F&W’s website. 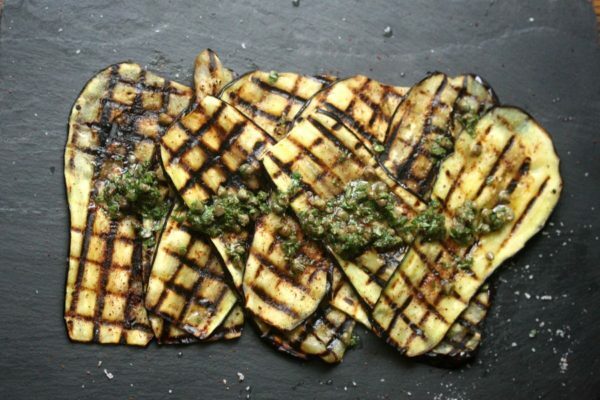 But for now, you can try the grilled eggplant solo as a simple summer side dish, or as a creative filling for whatever type of sandwich your culinary whims call to you. Heat a charcoal grill or indoor grill pan to high. 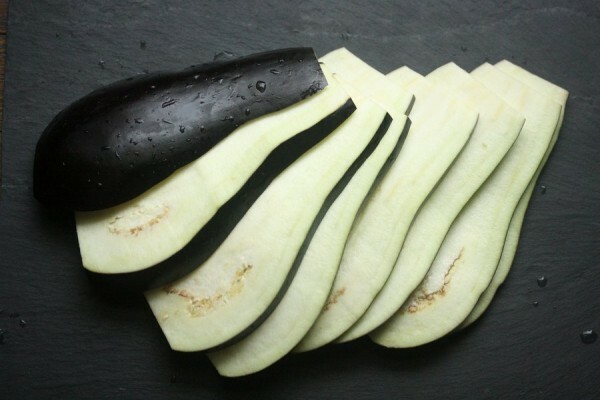 Remove the top and bottom of the eggplant and stand it up on a cutting board. Slice the eggplant length-wise and thin as you can. In a small mixing bowl, combine the sumac and olive oil. Brush each piece of eggplant on both sides. 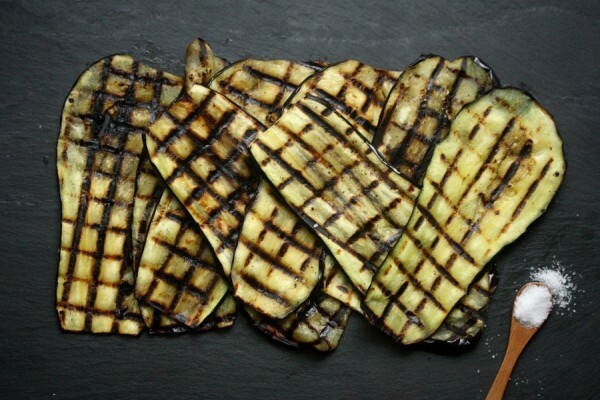 Grill the eggplant on both sides, rotating 90 degrees halfway through to get a nice crosshatch, until soft and charred, about 2 minutes per side. Arrange the grilled eggplant on a platter. Add the lemon juice, mint, capers, and salt to the remaining olive oil mixture and stir to combine. 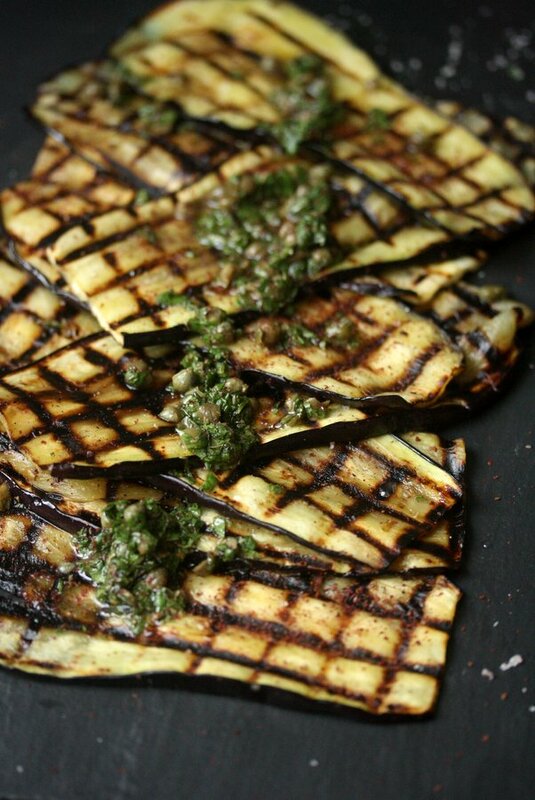 Drizzle the eggplant with the caper mixture. Serve immediately or at room temperature. Nice! Great sauce. YAY for SummerFest! I could eat this all summer long Phoebe – lovin that sauce! Those perfect hashtag marks! Those eggplants are tweet-ready! mmm I love sumac and eggplant, but never thought to combine them! 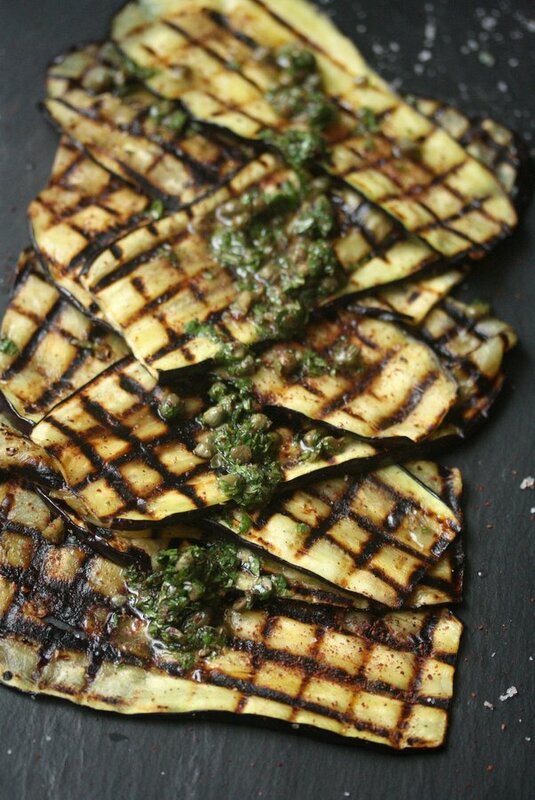 Grilling eggplant is one of my favorite ways of cooking with it, the smoky taste is really perfect. 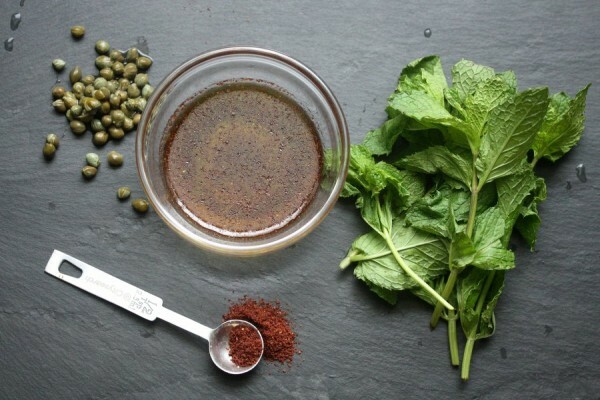 Sumac just makes it even better – I sprinkle if on so many different dishes as well as in salad dressings. Cannot wait to see your crepe piece. We love a good savory crepe. And a comment about your text colors. It is really, really hard for aging eyes to read. I had to strain to see what you wrote, and even more so with the colors of the replies. Thanks for letting me know Christine. I’ve gotten that complaint before and already bumped the color up slightly. Will have to readdress this. Hope you’ll still visit! If you turn the brightness up or down on your screen, that might help for now. Looks beautiful. I’m also in a veggie phase after coming back from a week of eating pasta and little else.